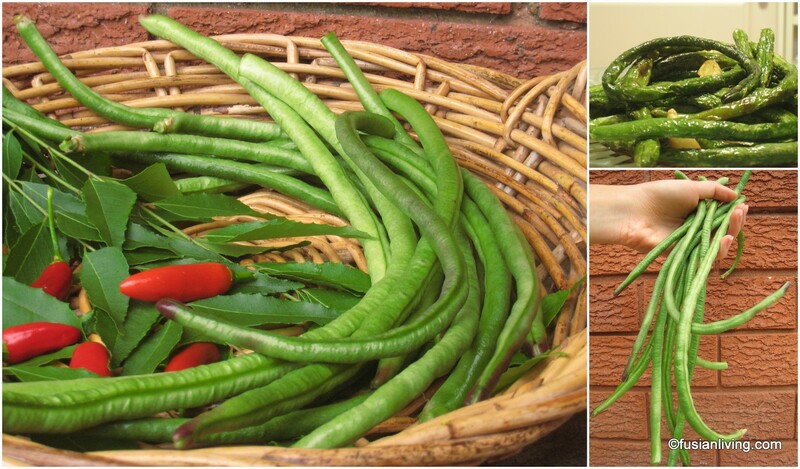 Grow Snake Beans (Yard Long Beans) for a tasty fried bean dish! | Grow Your Own Veg Blog. Gardening and Food Blog. 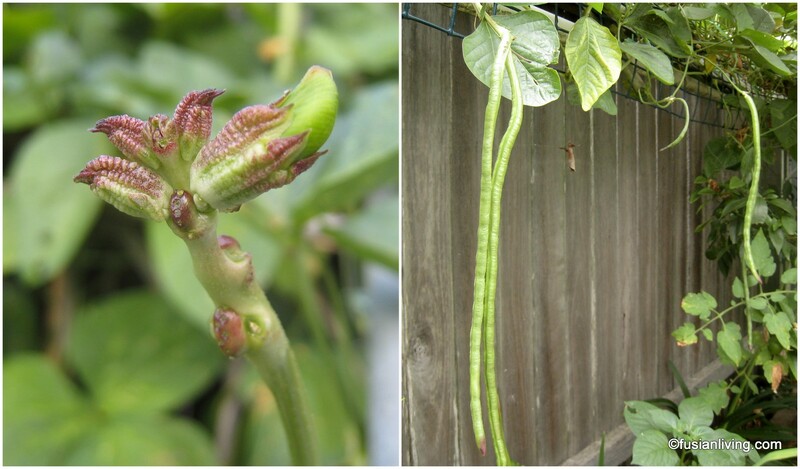 Grow Snake Beans (Yard Long Beans) for a tasty fried bean dish! If there was ever a bean that I could associate with Asia, it would have to be the Snake Bean. It reminds of walking through markets in Malaysia where bundles of these incredibly long beans, each secured by a rubber band, are piled up onto market stall stands. These beans are thought to have originated from South China and are also known as Yard Long beans, Chinese Long Beans or Asparagus Beans. My parents grow these delightfully long beans in their backyard in Sydney, Australia and mid February we had our first harvest, which I turned into a tasty dish of "Deep fried snake beans with garlic". My father grows these Snake beans from seed every year during the summer in Sydney, Australia. He was given the original seeds from a friend and now, he just reserves some of the seeds each year for replanting in the next. They are an annual that grow well in warm climates and are generally not frost tolerant. Ideal temperature is between 25 - 35 degrees Celsius. After the rather short-lived flowers disappear, little pods start to emerge. Most of the beans seem to "pair off" which is quite an interesting sight to see! As with most beans, picking should be done often (2 -3 times a week). The stems can be quite tough, meaning that the beans can be quite difficult to pick, so you may want to use a sharp knife. All pods should be picked before they fully mature to prevent the plant from becoming exhausted. Snake beans can be stir-fried with chilli and shrimp paste, thrown into omelettes, stir-fried with garlic and firm tofu, pickled in vinegar (in a Malaysian/ Indonesian pickle called "achar"), or added to dals and curries. My favourite way to cook all kinds of green beans is to fry them in oil until their outer skin blisters and they turn sweet. 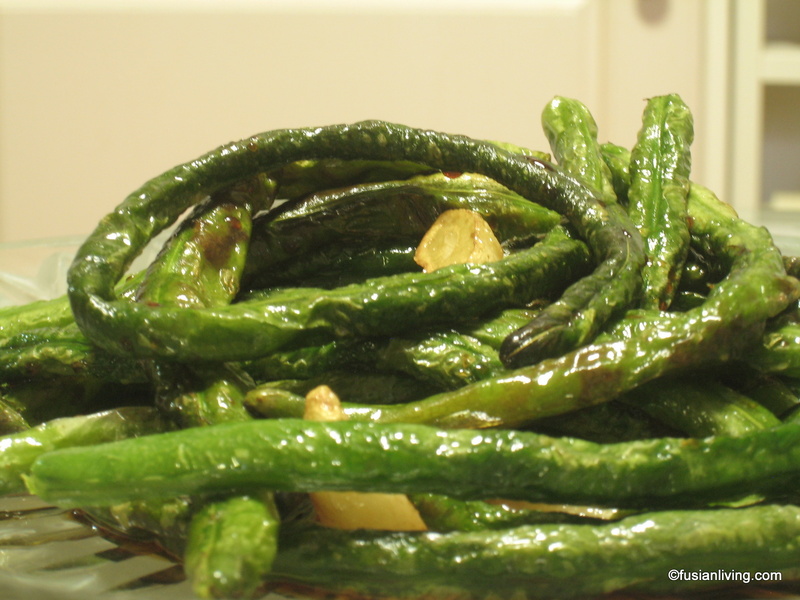 Snake beans are no exception and can be fried in batches in hot oil. Add some slivers of garlic and these beans really come alive. See the recipe for "Chinese style Fried Snake Beans with Garlic" here. Also check out Gourmet Traveller's "Pork Neck & Snake Bean Curry" here.